Lizard Morph is detune and morph effect designed to deliver the powerful, penetrating sounds favoured by trance musicians. It’s ideal for use in trance, dance, techno, dubstep, electronica, drum n bass, big beat, dub, reggae and all other styles. LFO modulation sections was designed specialy for Dubstep genre but can be used in other styles too of course. The plug-in contains: Main section. Filter section. LFO section. Morph section. The main difference from other, standard EQs is that MQ57 has all controls and functions optimized for mastering needs, i.e., it has relatively wide Q factors that focus on overall balance rather than narrow cuts and boosts, moderate gain ranges for fine-tuning and functions such as channel balance, spectrum tilting and pass filters. *7 parametric minimum-phase filters per channel, 5 of them are peak, 2 are shelf. *Functions and ranges optimized for subtle equalization tasks. *Stereo and dual-mono operating modes, either Mid/Side or Left/Right. *High-pass and low-pass, specialized balance and tilt controls. *32-bit internal precision with zero latency and low CPU consumption. *No introduced harmonic or dynamic distortion. *32 bits and 64 bits versions. *Type of vacuum tube for simulation – 12AX7. *Mono, Stereo, Qudro and 5.1 audio track support. *Easy to use and operate. *1x, 2x, 4x, 8x, 12x, 16x oversampling mode. *IIR-type 3 Band equalizer with ±12dB range. *Separate adjustment of drive and bias. *12 Factory presets, 8 User presets. XTrack EQ32 is a VST3 audio effect plugin which provides an equalizer 32 bands with a low CPU usage. Whereas most of equalizers support only stereo control, XTrack EQ32 gives you the possibility to control a Mono, a Stereo, a LRS, a Quatro and an 8.0 Music system. Equalization presets can be saved in a specific file in XML format. These presets are editable and can be loaded easily by the plugin via its user interface. XTrack EQ32 has also a vumeter for input and output signal. RING-O is a ringmodulator effect plugin. Modulation source can be the left and right side of a stereo signal modulating each other, or a stereo signal modulated by RING-O’s internal oscillator. The internal oscillator has different wave forms, the pitch can be adjusted manually or by incoming MIDI notes. RING-O also features a diode ring modulator style setting for less clean sounds and the ability to adjust the modulation mix. License of this VST (and costs): Freeware. This is good for a lot of things. Sometimes you'll look through my plugins list and find this four or five times out of twenty or so. The open-source Millennium Limiter from Paradox Uncreated has reached Beta 29. Updated GUI, and perfected algorithm. Not really "effects", but also not "instruments": A great collection of MIDI plugins which can do all kinds of useful jobs related to MIDI. DDMF a passé ColourEQ en gratuit. DDMF’s ColourEQ has now become freeware! When it was created a few years ago it featured truly unique frequency response curves which have helped many engineers out there achieve the sound they were aiming for. Recently, most of these curves have been integrated into the all-round workhorse IIEQPro though, and for the future we want to concentrate all our efforts on the further development of our more complex products. Sooo… ColourEQ is now available free of charge in the freeware section, for Windows VST/RTAS and OSX VST/AU/RTAS. You’re welcome! 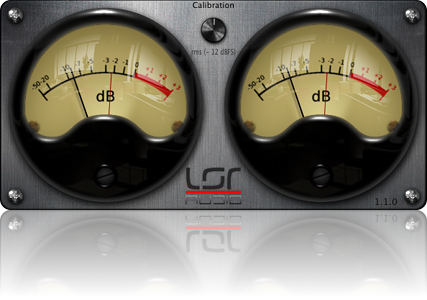 Gloria is a VST equalizer which comes with a special shape of bells. It basically consists of two overlapping bells, one of them with the Q wide and the other that tapers while increasing the gain. LSGate is a sequential step gate. It can be used to add rythmic patterns to your audio or a smooth tremelo as well. *32-step gate with adjustable volume, attack and decay, audible note length for each step and overall note length of each step. *Variable amount of steps per cycle. *Smooth transitions with Merge function. *Syncs to host tempo and transport (when transport is playing). *Copy & Paste control values for velocity faders, step length and note length (between controllers of the same type). I'm considering creating a series of free effect plugins, partly inspired by the Kjaerhus Classic series. My current thought is to only create plugins which can be made with simple GUIs. Say a maxiumum of 8 knobs or switches. The simple controls will be a limiting factor on how effects are designed. However that should make the GUI's quicker to produce, leaving more time to focus on the effect algorithms which is more fun. My goal was to create a clear chorus effect that could be used to thicken or blur synth parts or vocals. I'm fairly happy with the plugin so far. Depending on the feedback I might tweak the chorus algorithms a bit more. I'm not sure about the all knob GUI design. I think it makes for an attractive overall layout, but perhaps switches would better represent the functionality of the MODE and SHAPE parameters. Today we are celebrating our 10 years anniversary by releasing the previously discountinued NightShine compressor for Windows as freeware with a new and fresh GUI. *Release: 50 ms to 3 seconds. *Threshold Range: -inf dB. to 0.0 dB, exponential curve. *Output: -20 dB to 20 dB (Makeup). *Switches: Auto Makeup, Softclip and Limiter. *Monitor: Input ▶, Gain ▲ , Output ▶ and Text Display.